Apartment of about 55 m2 plus terrace with 2 rooms for 4/6 people. It is only possible to book from Saturday to Saturday. It has free WIFI Internet. 1 bedroom with two beds for 2 people, 1 bedroom with double bed, kitchen equipped with basic utensils, bathroom with shower, living room with sofa bed, washing machine, microwave, electric coffee maker, satellite tv, etc. terrace, swimming pool, gardens with lawn and swings. About 150mts from the beach. www. fincasolestartit. com Cozy apartment ideal for family holidays. Swimming pool, gardens and lawns and free internet access. 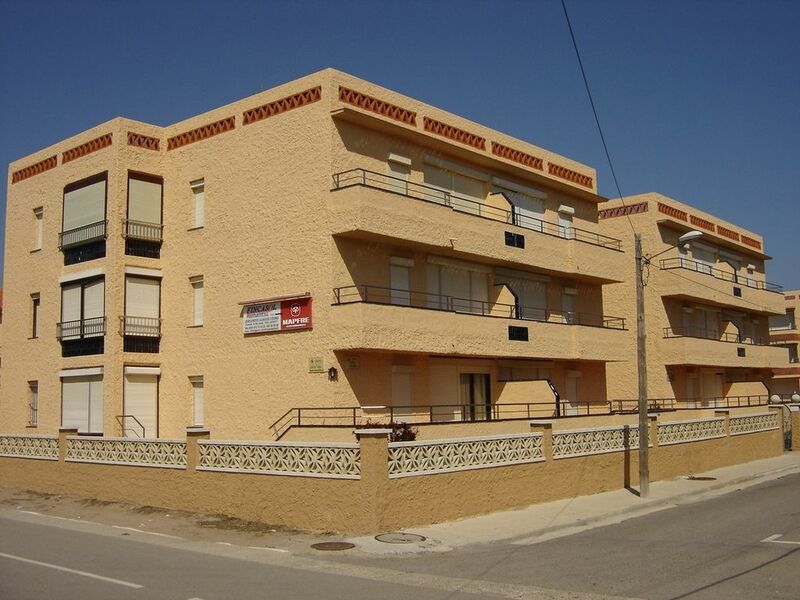 Located in the urbanization Els Griells L'Estartit, about 200m from the beach. Optional Private Parking. Cozy apartment located in quiet urbanization with all services and about 150mts beach. Equipped with washing machine, Freeview and satellite tv, microwave, coffee maker, etc. Swimming pool and lawned gardens. Wifi Internet access. We have 4 categories of different apartments in the same residence. 4 / 5L with balcony of about 7m2 (Apartment published in this post), 4 / 5L ground floor large terrace of 14m2, 4 / 6S with terrace of 8m2 and 4 / 6S Luxury ground floor large terrace of 14m2.